Oh and here’s one more … From Pundit and Pundett, CNN analyst and White House consultant, Paul Begala thinks you are a bunch of wimpy whiny weasels. But wait there’s more. Nancy Pelosi calls it … “Astroturf”, not grassroots. I need to take a moment to explain astroturfing. Astroturfing is a faux grassroots movement. Rallies not organized by the people but rather put together by paid political organizations, labor unions busing members, Acorn rounding up 4o protesters in Connecticut, Political action committees gathering their members to protest … oh I don’t know … plastic bags. Astroturf. Got it. Oh and before I go … those tea parties … haven’t really caught on … so says Chuck Todd. From Newsbusters. By the way … big thanks to Instapundit for pointing me to the source on this stuff … Netrightnation. CNN: Pay no attention to the embargoed info on the screen. 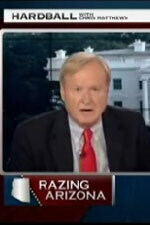 Matthews: The Tea Party is just like Muslim Brotherhood-"nutbags"
<div style="font-weight:normal !important;">Thought the post deserved a clip from Fox News (to keep it fair and balanced). I bring to you Neil Cavuto, asking about how many people were there at the rally he was covering in Sacramento. His estimate was about 5,000, maybe a little more. Of course, that was off camera. On camera, he was happy to announce that they had far exceeded expectations! Kinda like the "estimates" at the "Million Man March" possibly? How does Cavuto's ballpark estimations of crowd size even remotely compare with the blatant editorializing of that CNN "reporter" who cut off people and editorialized, or better, spun what she was seeing? Anderson Cooper cleverly calling up his expertise in talking while "teabagging" (Liberals teabag, while conservatives have Tea Parties, by the way)? And the undoubtedly unbiased Nancy Pelosi talking about "astroturf?" All plastic references aside, this is the woman responsible for more of the Congressional feeding at the trough and exclusion of Republicans in debates than possibly anyone. She is quite good at projection though. You are really stretching with this one, Brian! Classic Liberal move- accuse the opposition of what your party continually does. Doubt that? Explain the rent-a-mobs that show up at most protests. Busloads of homeless people and union thugs from out of town on local issues are the norm. WHo organix=zed the dozen or so protestors covered by twice as many reporters protesting AIG bailouts at peoples homes? ACORN was proud to be involved in that Astroturf Protest. @Lazybum Good point, certainly liberals do the same thing. Jim's been saying that the Right has a lot to learn about the left. Sounds like Cavuto just took took a page from that book… Cheers to him. It was interesting that the only point Brian would bring up were crowd sizes……Not the content of the gathering. Liberals typically cannot win a debate on ideas. Great point there, I sure get a tingley feeling going up my leg knowing that you are at the ready to pinpoint errors in crowd sizes estimations. Wow, such vision and insight. Certainly crowd size was the meesage of the day. Spending money you don't have does not work. It did not work with a Republican President and it will not work for a Democratic President. I doubt that Brian and his personal spending are as reckless as our Congress and Presidents. Notice how that CNN reporter when asked a question and did not like the answer and got snotty. Great job there….now go ask for a raise on your performance. I enjoy how Jim and others claim this isn't about political beliefs. Where were these rallies when President Bush was in office? Wayne just claimed that it didn't work with the Republican president, but now that Obama is in office we should totally let us know how we feel. "The post was about the media taking shots at the Tea Parties, so I thought we should look at the other media propping up the Tea Parties. Apologies if you think that was out of line." More to the point, how would you say that coverage was distributed, e.g. was there more "other media" and was it positive or negative, or more of the supportive media, apparently only Fox. And if the bulk of the media coverage is negative, as it demonstrably is on CNN and MSNBC, would that not make moderate coverage by Fox appear supportive by comparison? Is limited, diminished or no coverage of the events tacit disapproval of them by the "objective" press. Seriously, the selection of the "first dog" got more coverage! It is all about the vast majority of the media being in the Democrats pocket, be it the political affiliations of the reporters like Susan Rosen, or the daily calls that former Clinton advisor Stephanopolous of ABC receives from Raum Emmanuel, or coordinated "news" that revolves around Democrat talking points (remember "gravitas? "), to the morning show on CBS covering only one side of an argument, if they carry it at all (remember the news blackout of the Swiftboat Veterans?). It is so amazing that liberals are so very vociferous about Fox's "bias" when they effectively own the bulk of the news services and control the ebb and flow of the news, and proudly display considerable bias of their own. What happened to true objective journalism? Can't say the same, Dims. The liberals were so desperate for us to be hateful. The CNN reporter wanted to cause a riot and we were not at our Tea Parties to be mindless fools. They hate us for our convictions and they hate us for our idealism. Too bad. They woke the sleeping giant of the real Americans. I hope we can keep everyone up and going until they hear our message in Washington. This was the beginning of a long fight. It was glorious and it was fun, but it is just the first step in our long fight. I want to the Tea Party in Hartford, and it was the first time I ever did anything like that. It won't be my last time. Everyone must take our country back now, before we are too late. CNN is a radical arm of the Democratic party, their reporters are nothing more than agitators with press credentials, they don't even try hide their bias! They bow at the feet of Obama and the left and remind me of union organizers with baseball bats! With no credibile argument against FOX News they resort to innuendo, it's a wonder they didn't compare the TEA parties to a reality show calling it world's biggest losers! While the gentleman with the 2-year-old was trying to cite Abe Lincoln, the reporter from CNN was pushing PBO's talking points. No wonder CNN is dying as a cable network. Sorry you feel that way, Brian. I was referring to the bulk of the media being oriented to the left, i.e. if Fox weren't there, would there be any right oriented TV news? You cite one to one examples, but do not assess the overall picture. Bottom line: the media should be objective to the point that I could not discern the political leanings of any of the participants. The gross leftward swing generated the need for a Fox network. Oh, and by the way, I put Tony Snow into the same category as Tim Russert: they were both consummate reporters, that, while they had similar positions in government at one time, could put their jobs ahead of their political bents and be truly effective. Apparently the good to die young. And the "dog got more coverage" was meant to be humorous. Good thing we have you out there timing all the coverage for us, Mr. Partridge. Could you put the actual times by network up for us to peruse? I just watched the unprofessional, negatively provoked, jaw dropping outrageous? “interview” from yesterday’s Chicago Tea Party plus Pelosi’s warped, grasping at straws, perception of one of the most honest, heart felt, genuine, gentle movements our Nation has seen in quite awhile.? CNN…..desparate about your ratings much?!? Hey Nancy…..Polly, I mean Pelosi want a cracker? And now, the rest of the story: footage of Tea Party members taking Roesgen to task. Of course, the CNN cameras were off or this was edited. Maybe it will be on Fox. I wouldn't know, because, contrary to the assumptions of some, I don't have cable in my house.